A short overview of my branded Thermaltricity PV+Thermal (PVT) solar panel, first developed back in 2015, in Hangzhou, China. 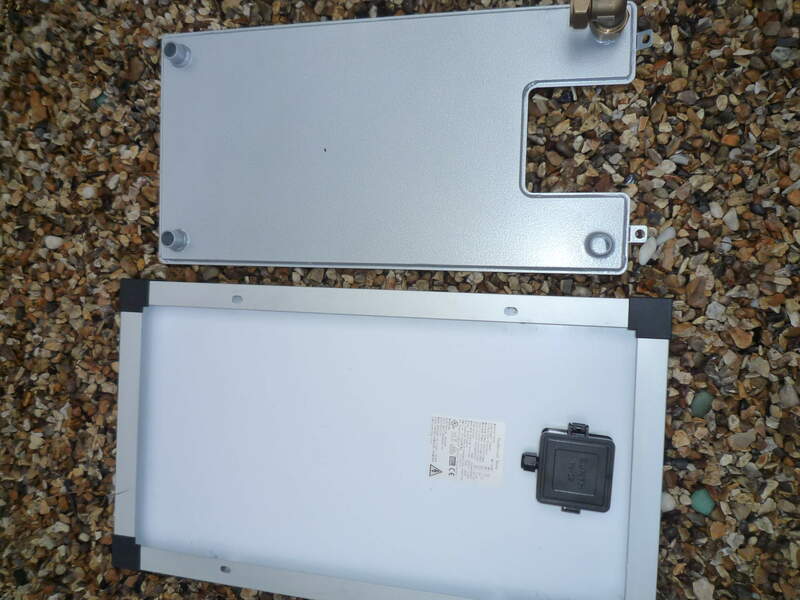 In 2017, a NEW type PV panel was found, without any glass (see bottom picture on the right). The backing material is aluminum which when the thermal panel is fixed to the back in a framed panel, there is a increased heat transfer from the back of the PV panel through the Thermal Absorber heat exchanger. 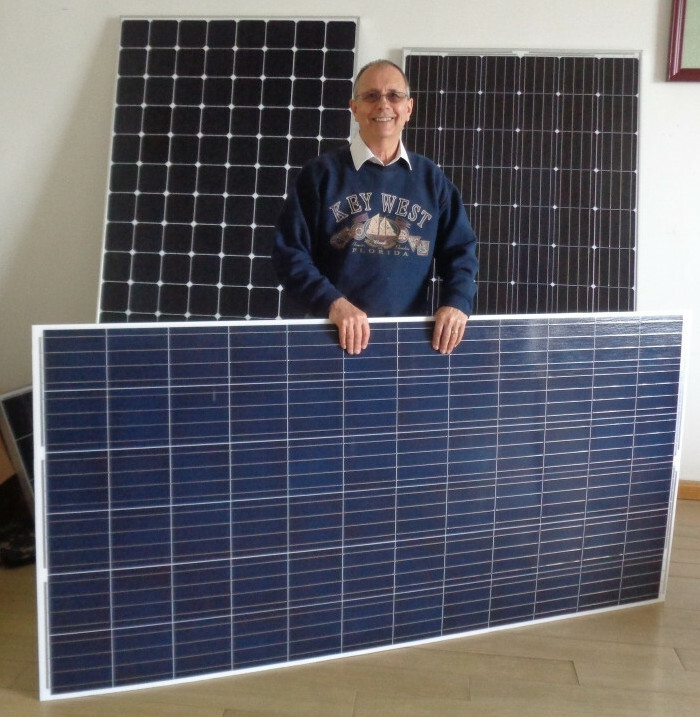 The picture on the left, is the first PVT panel produced commercially by a German company in Munich, when PV panels prices were $4.00 a watt. Our own branded PVT panel (center picture below) was completed in March 2018 in Australia on the roof of a house, which was to use the swimming pool as the cooling fluid, while returning the water heated to 30c back to the pool, direct. The type of plumbing pipe and fittings was also changed from stainless steel flexible corrugated tube to PPR 40mm to improved flow rates with all the fittings PPR hot weld. 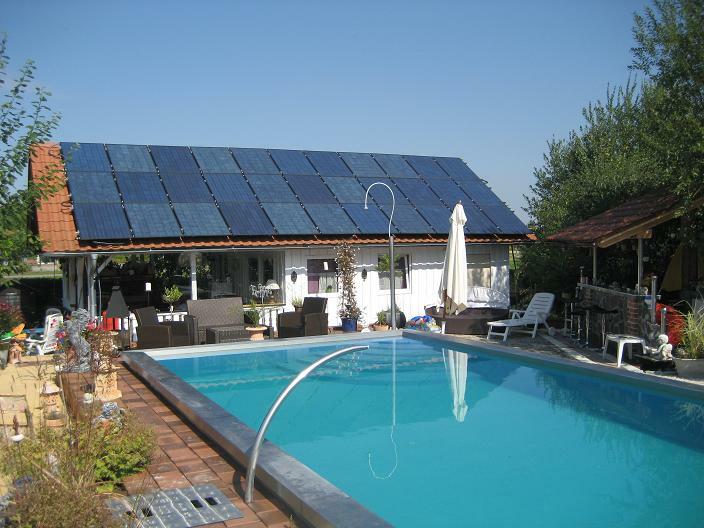 The first PV + thermal (PVT) solar hybrid panel was developed in Germany in 2007/8 and shown to the trade at Intersolar Germany. 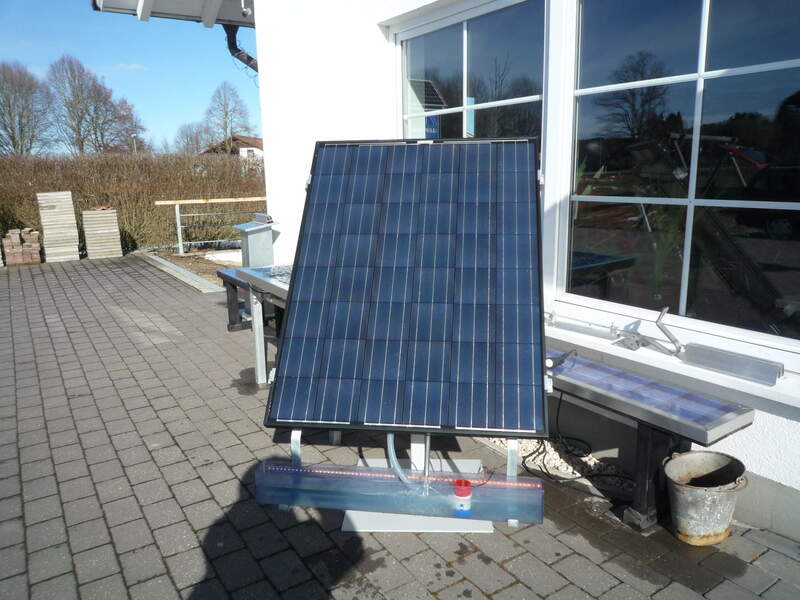 At that time, the cost of PV panels was very high, but the Munich based manufacture i later visited had developed a way using automotive robot bonding, to bond a thermal water panel to the PV frame free glass panel. Since that time, many other PV and flat plate solar panel manufactures have developed there own idea of PVT, including a UK company developing a PVT evacuated tube collector. The following pages, PDF files and pictures will open up the debate that is going on across the world, from China to the USA, from the UK to Europe and beyond and what the future of PVT holds in the future. 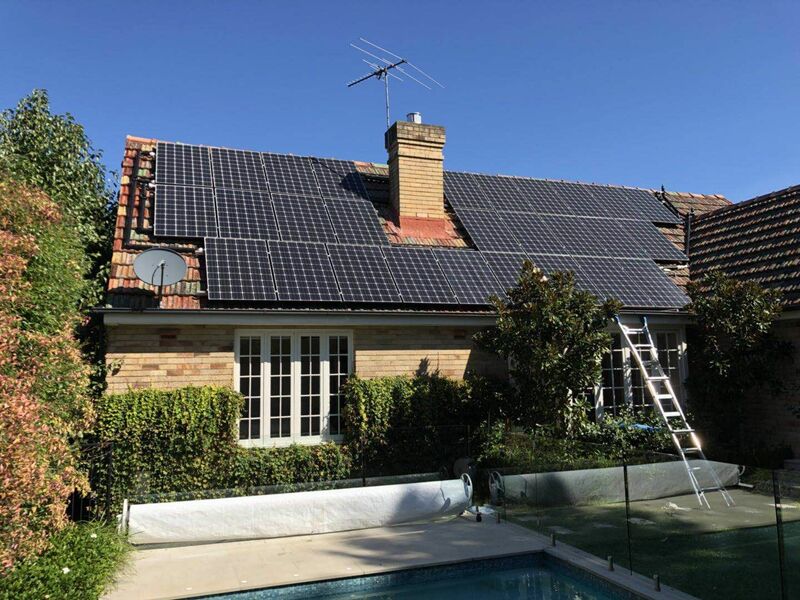 The idea to couple together a solar PV panel with a solar thermal panel into a PVT solar panel was to circulate cold water through the back of the PV panel to cool it down below 26c with a pre heat warm water benefit of up to 30c. The figure 26c is the temperature that all the worlds’ solar PV panel manufactures use to calculate the efficiency of each PV panel they produce, conducted in a controlled air temperature facility. Each PV panel comes with its own certified test label. It’s a worldwide proven fact that once the temperature of the solar cells increase above 26c, the efficiency begins to drop. The German manufacture produced such figures to demonstrate this and it’s through that company others have followed, with around 56 companies across Europe promoting such a PVT hybrid today. The drop box down load demonstrates this in a power point presentation as a PDF, where it’s been proven that the glass encapsulating solar cells can heat up above 60c in air temperatures of 32c with clear blue skies. 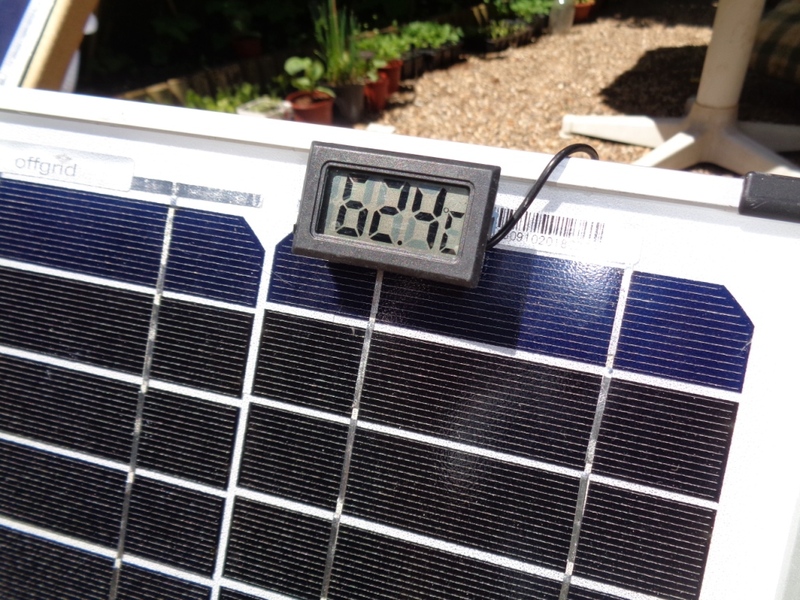 At this temperature the efficiency of the solar PV panel drops by 0.05% for every 1 degree rise above 26c. Even in a very cold air temperature, glass solar panels can still heat up above 26c. 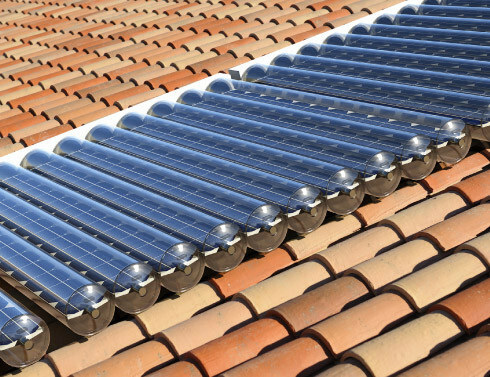 The concept behind the placing of a solar thermal panel behind a glass PV panel is to cool the back of the solar cells to maintain the panels test efficiency, as has been sold to its purchasing clients. Unfortunately, the PV panel manufactures are not interested, as they see the increased cost and delay in the installation of PV only as adding a cost to the sale of their PV panels. 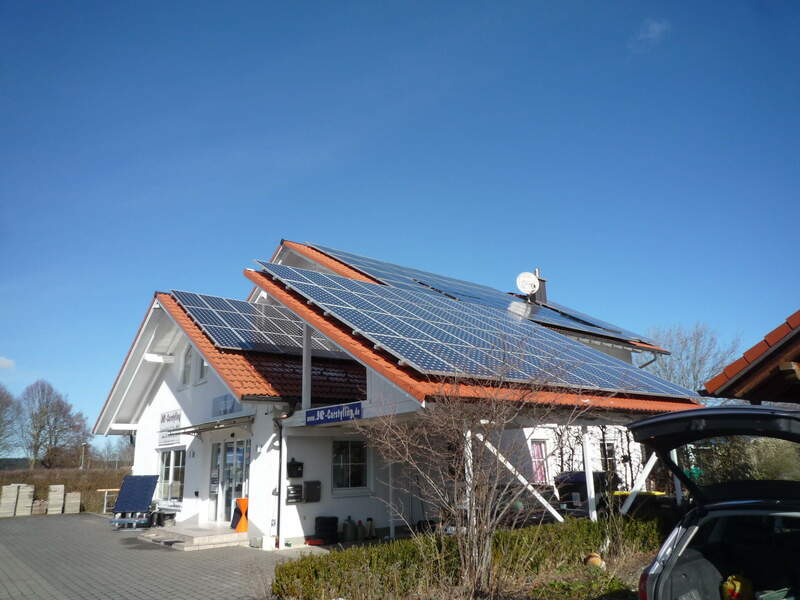 This lack of knowledge and working experience of much wider use of solar thermal panels is why there is little interest to date, but that is soon to change. Then you have the solar thermal industry, that is fighting solar PV “to retain a solar water heating industry” but instead of looking beyond the mass produced flat plate solar water heating collectors that they see as only needing the glass changed to a PV glass, that’s where all the problem begin. This is the final part of the section that relates to the PVT solar panel choices, to be followed by WHAT ARE THE SYSTEM OPTIONS to maximize the use of both the generated DC electricity as well as the heated water to 30c. What was proven in the early days of selling PVT was to use the heated water passed across the back of the PV panel to heat a swimming pool. What was proven beyond any doubt, is that when you have a large water store volume open to gravity, with the right amount of PVT panels that over a 8 hr day during the summer months in the Northern climate, that the pool water volume would never over heat above 30c. The sizing of the water storage tank and the plumbing of the system, i will present after completing this part of the facts. To keep up to date on what is happening in the solar PVT market, click onto the link below, which takes you to the NEW Task60 PVT web site. Solar Speedflex Co Ltd is a listed partispent under the United Kingom. In 2019, Solar Speedflex will be partnering with a new UK start up in Dorset.